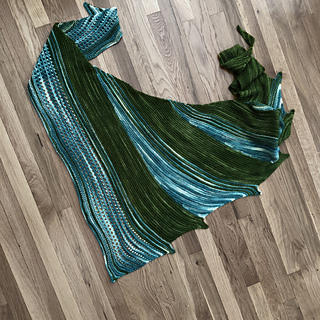 This is an asymmetrical shawl. 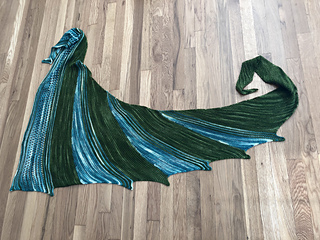 The listed gauge is before blocking. This was such a fun pattern to create! 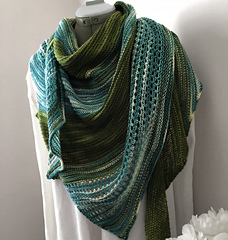 It’s got a bit of everything (short rows, lace, i-cord bind off) to keep things interesting, but it’s a quick, satisfying knit that’s scrumptious to wear!